Streets are meant to be public. In our future tense Manhattan there are no cars (as we know them) and mobility and public infrastructures are re-claimed for the public sphere. Challenging preservationist ideologies. Preservationist policies are re-formulated to allow buildings to change and die. A new typological vocabulary emerges in the in-between spaces. Its aim: to avoid (or instrumentalize) the ongoing ossification of the island’s architecture. Astoria and the Central Park, and the diverse populations of New York. 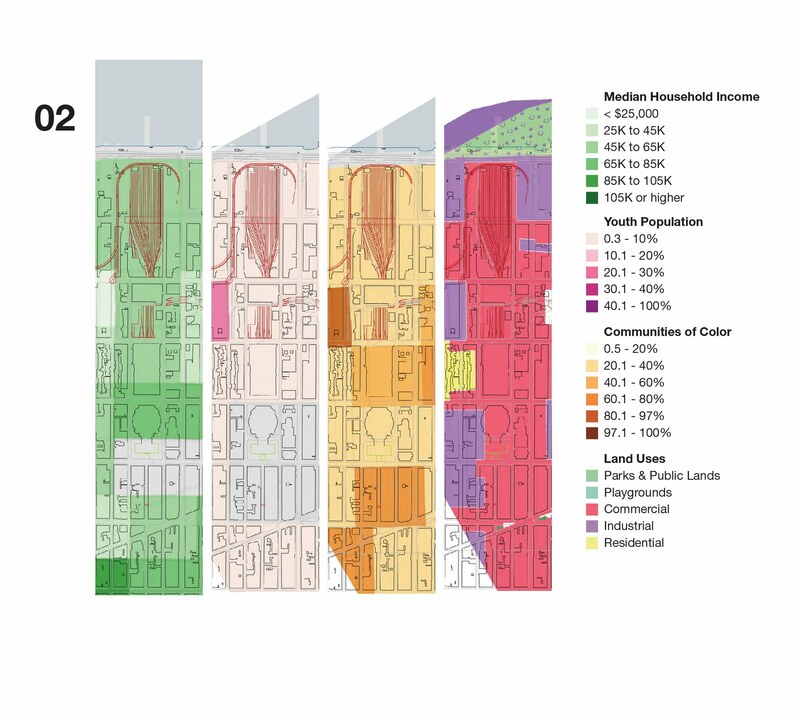 In the vein of Hilberseimer’s “The Architecture of the Great City” zoning laws no longer operate horizontally but vertically, promoting new relationships between the public and private spheres. What is it to be in a city with no cars? How do streets look like? 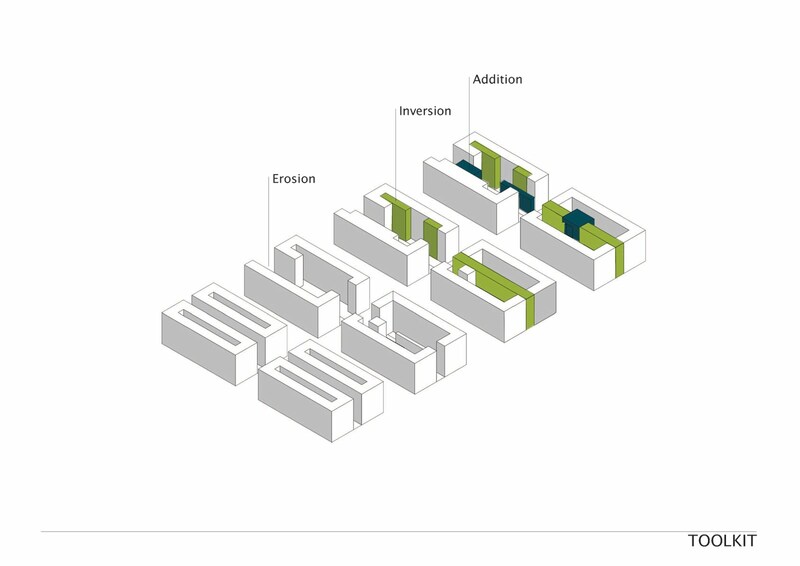 What new kinds of urban space could emerge? Rails and Subways are unveiled and integrated into the network of public space. 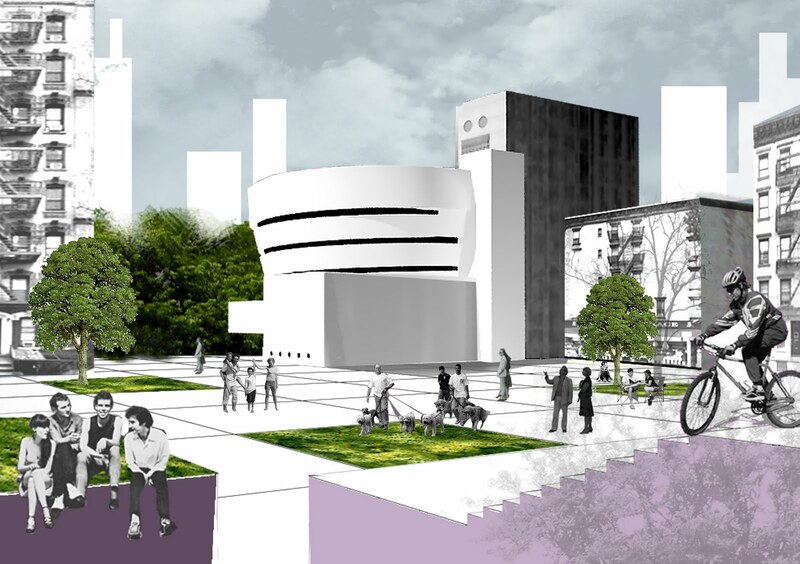 – The Guggenheim-Astoria Promenade connects the extramural Queens with The Guggenheim Museum: an unexpected connection that links the highest and lowest income brackets in the city, as well as a specter of linguistic and ethnical communities. 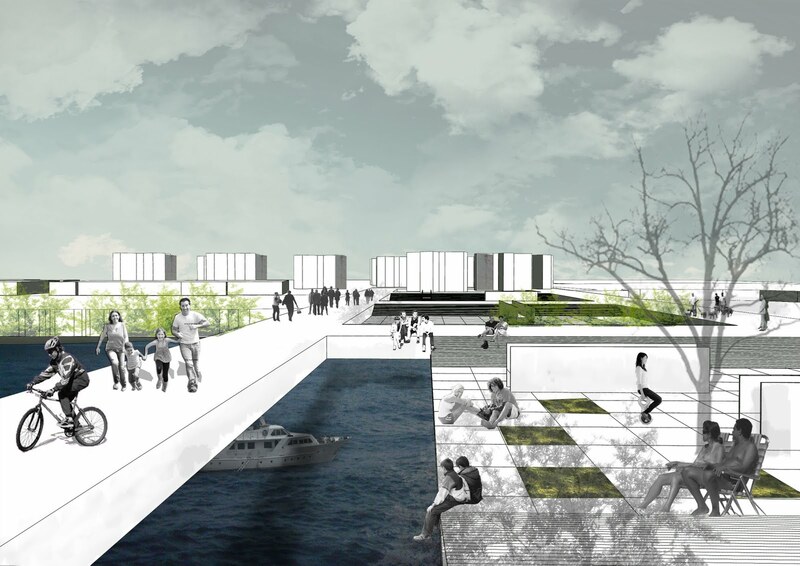 The Promenade results from the connection of a set of re-configured blocks that whose interior has eroded to allow for public access and a new range of public architectures. 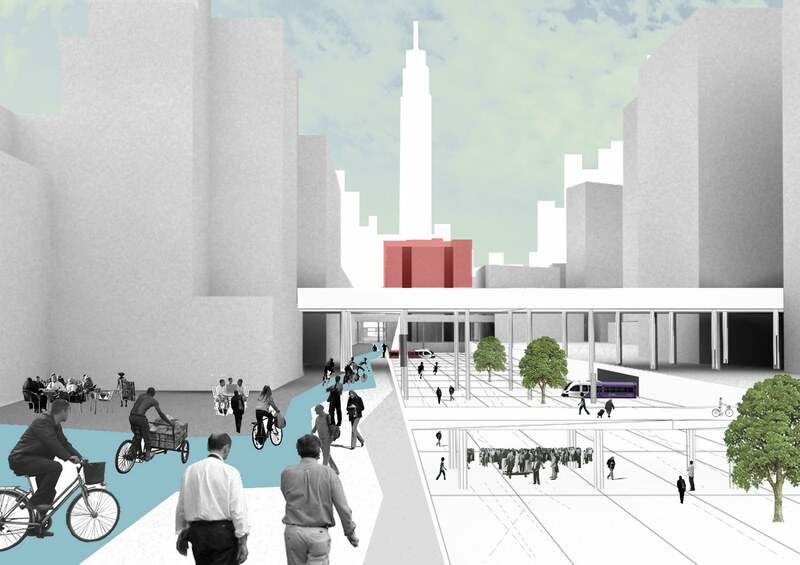 – The Jersey-Empire State Promenade connects New Jersey with the Empire Street Building through a network of public spaces between 31st and 34th Street. 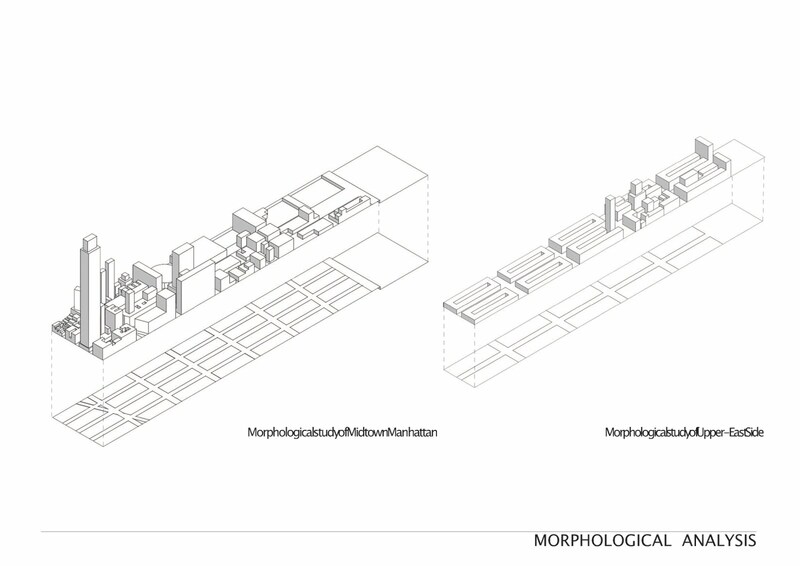 This Promenade hypothesizes the future of the metropolitan workplace by connecting an armature of public buildings and a commercial axis through large-scale public spaces that re-discover and celebrate Manhattan’s unique rail and subway infrastructure. The notion of urban “erosion” is generalized into a vocabulary of operations, or “toolkit”: removal, inversion and implant. These operations are used as tools to unveil new networks of public space inscribed in Manhattan’s distinctive grid. 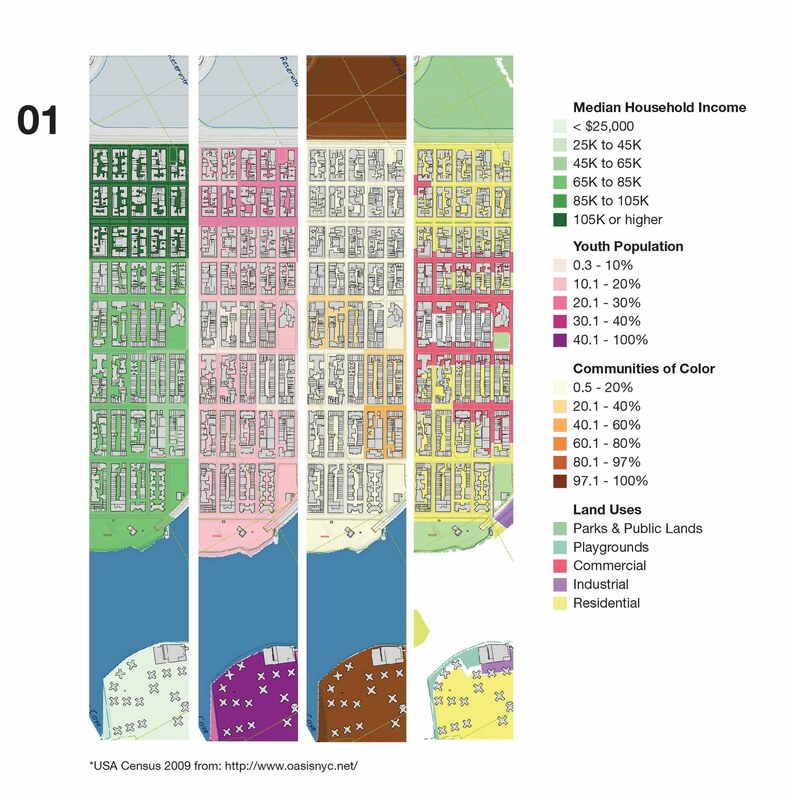 This results in a “toolkit” for operating radical reformulations of the urban grid to create both a new local/communal street (in 88th St.) and a metropolitan workplace (34th St.). The result is radical yet contextual; a site-sensitive architecture of the public. Manhattan 88th street Promenade . Manhattan 34th street Promenade .